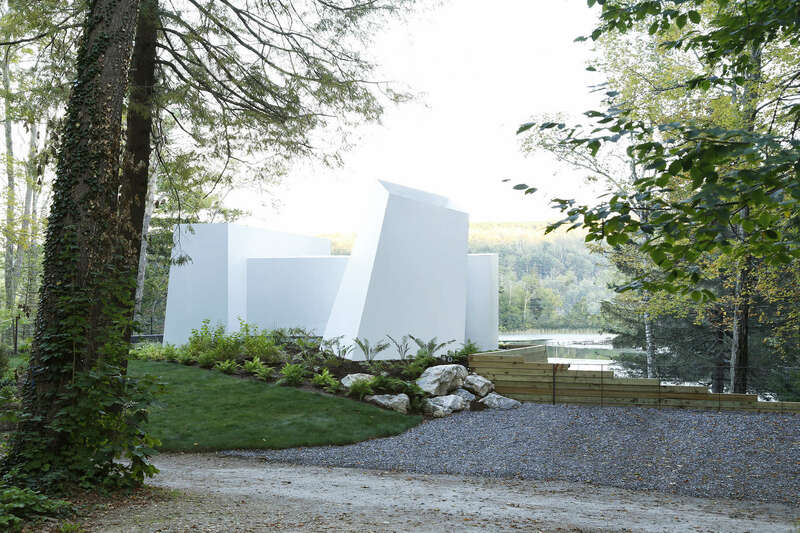 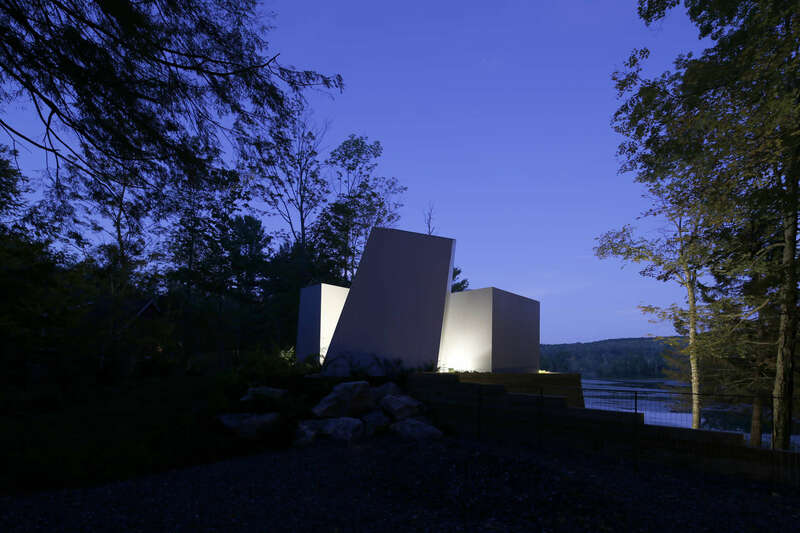 This residence in Western Massachusetts maintains a dualistic relationship with the lake against which it is nestled. 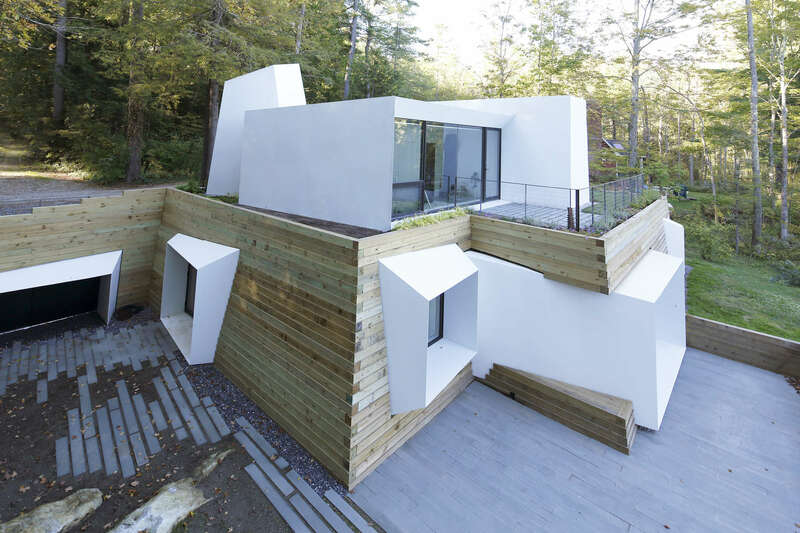 When seen from the street, the house is abstract in form, showing no aperture or puncture. 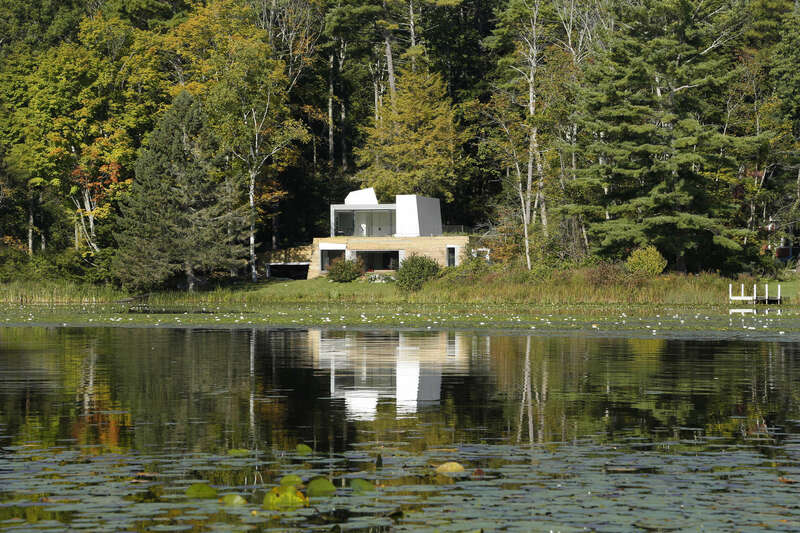 As one steps down the walking path and towards the lake, however, the house opens itself up. 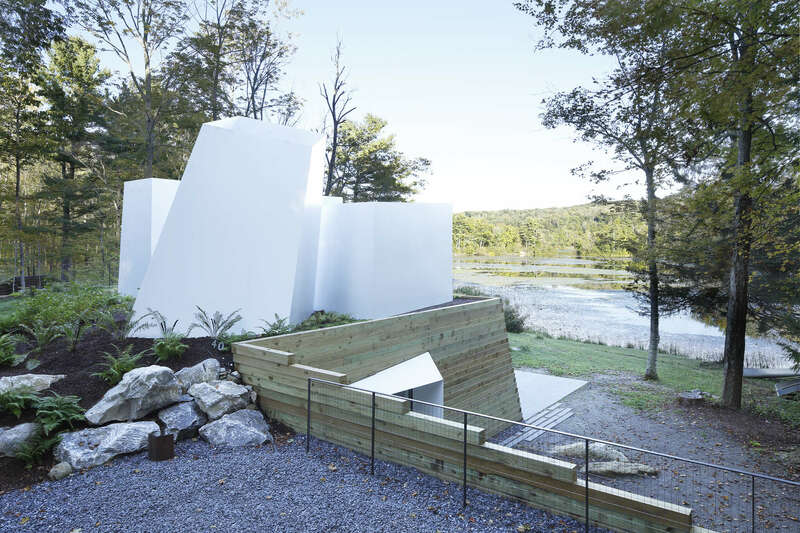 A singular stacked timber wall, serving as both retaining wall for the landscape in which the home is embedded and as a primary enclosure for the home, becomes punctured intensely as the home turns towards the lake. 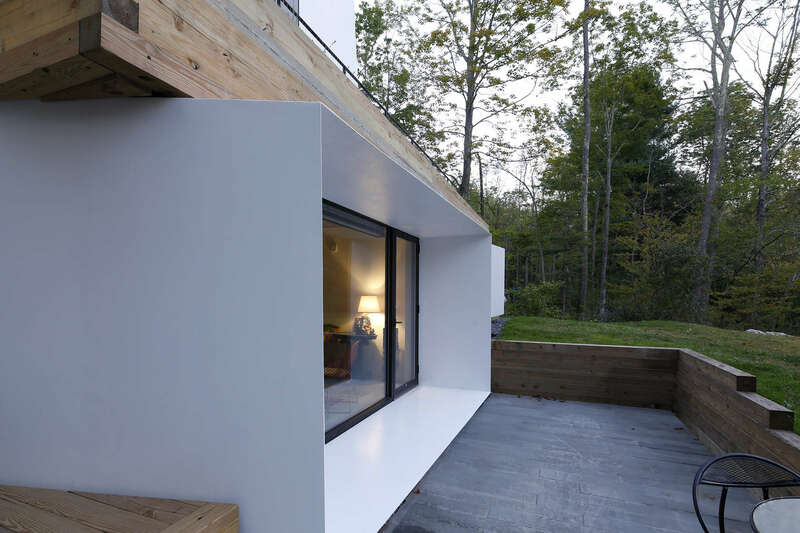 A series of sleeves act as spatial leaks, breaking through the timber and allowing the interior spaces to reach out to the lake in the form of very specific views. 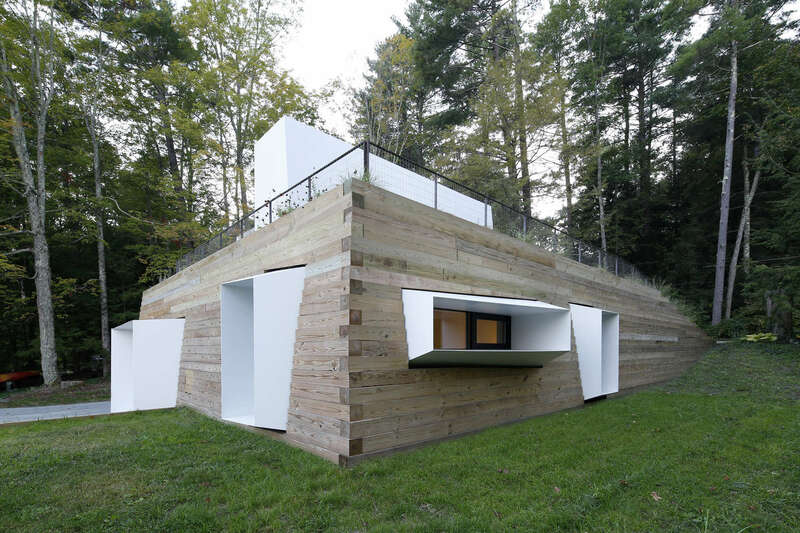 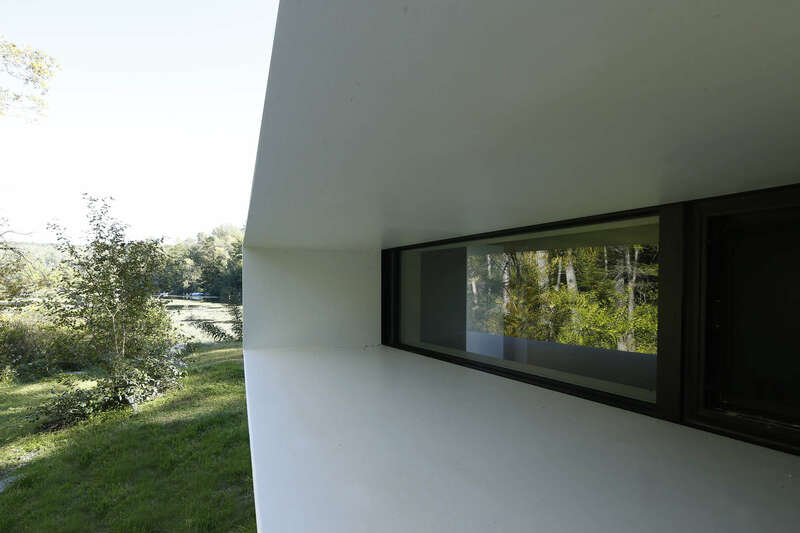 As one moves through one of the sleeves and into the interior of the home designed by Taylor and Miller Architecture, two different spatial orientations are introduced – one horizontal orientation that is defined by the sleeves looking out to the lake and a vertical orientation that is defined by the sleeves looking up to the sky up to the sky. 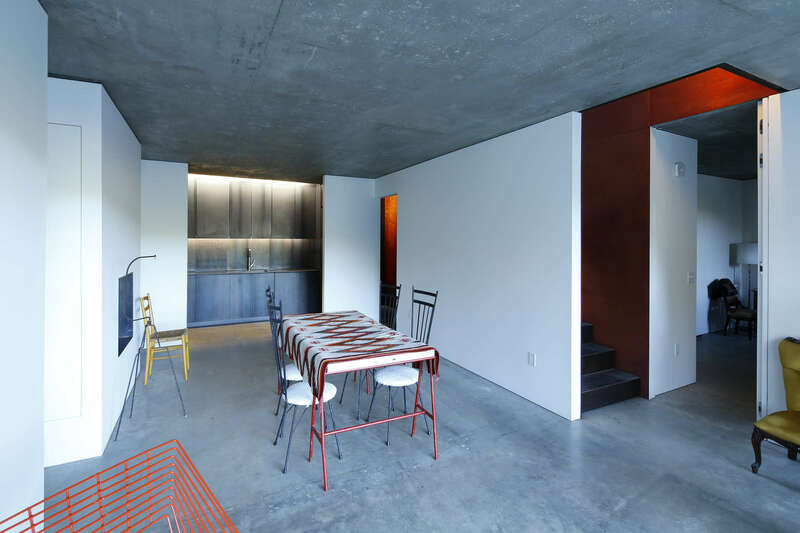 Each of these types of spaces is defined differently in their materiality. 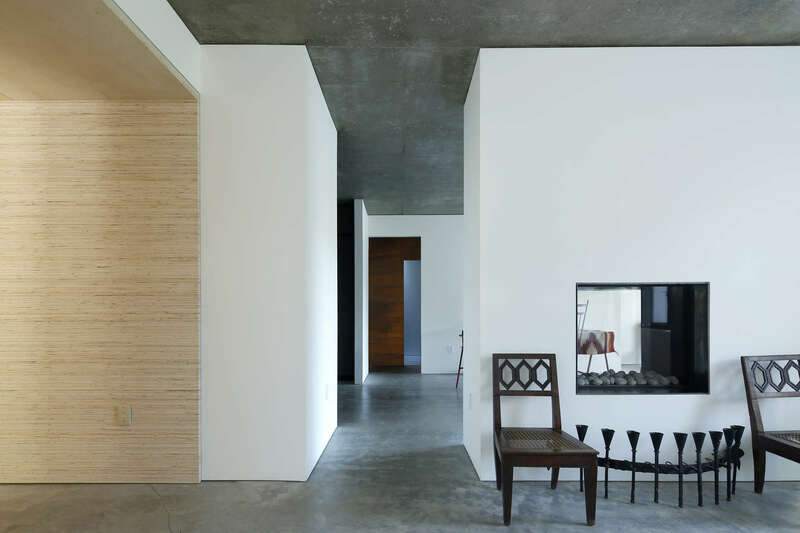 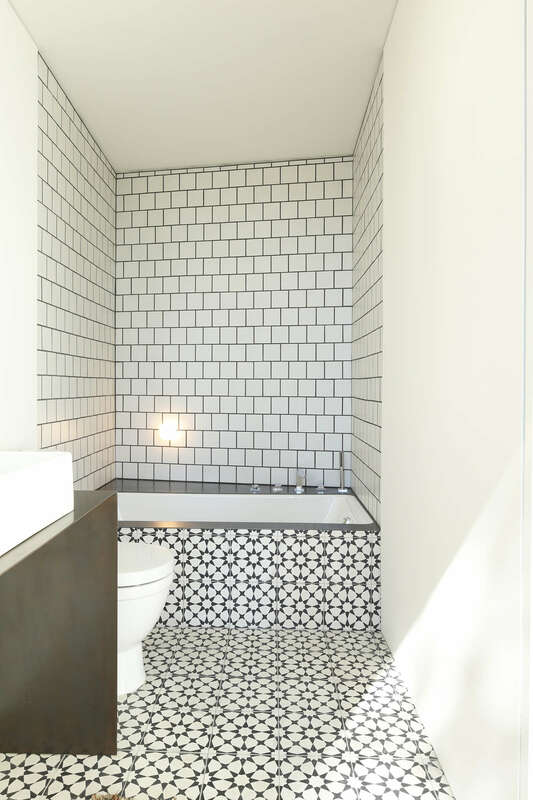 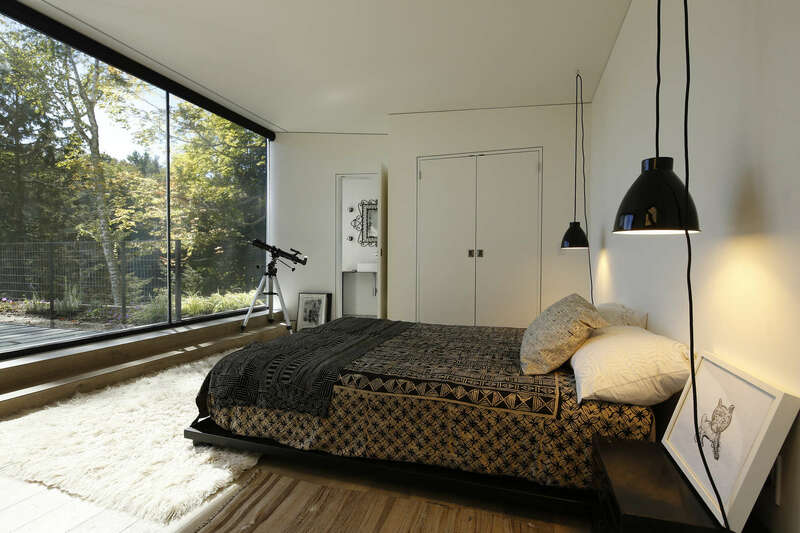 In the case of the spaces oriented horizontally, they are characterized by neutral tone and materiality. 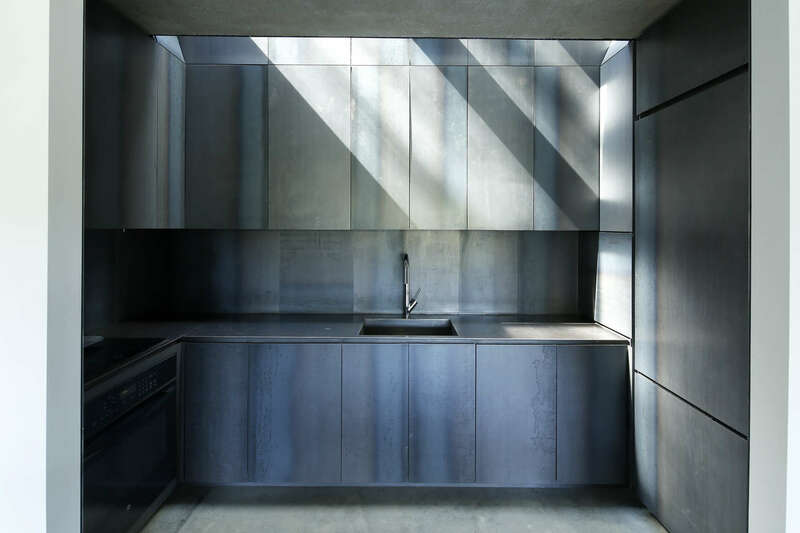 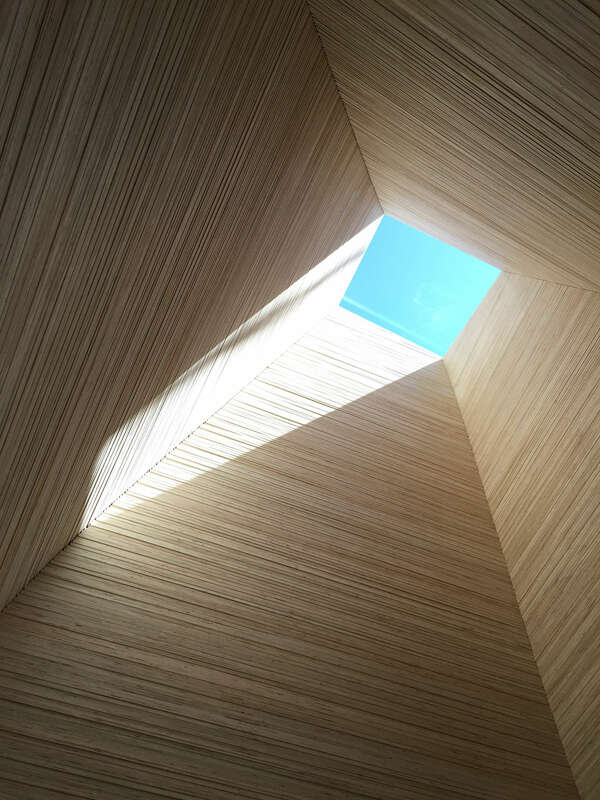 In the case of the spaces oriented vertically, they are characterized by their view of the sky through a skylight aperture and intense changes in material; the entry vestibule with stacked plywood, the kitchen with hot-rolled steel, and the stair with rusted steel. 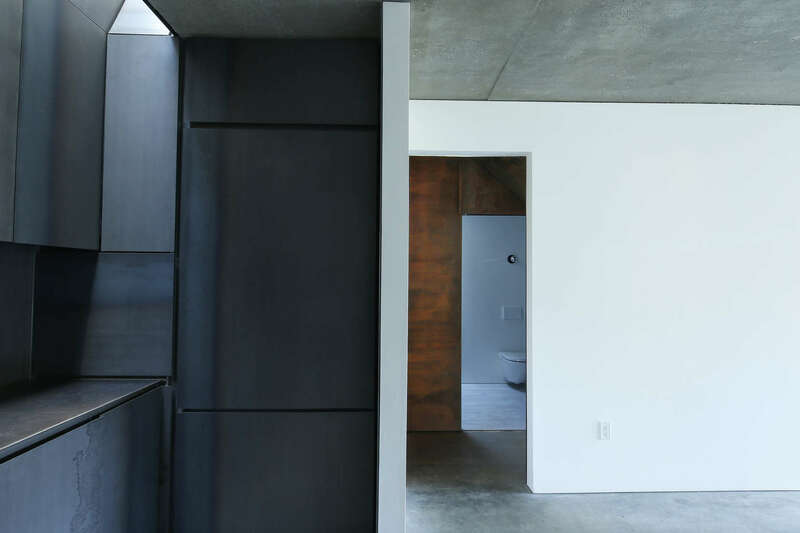 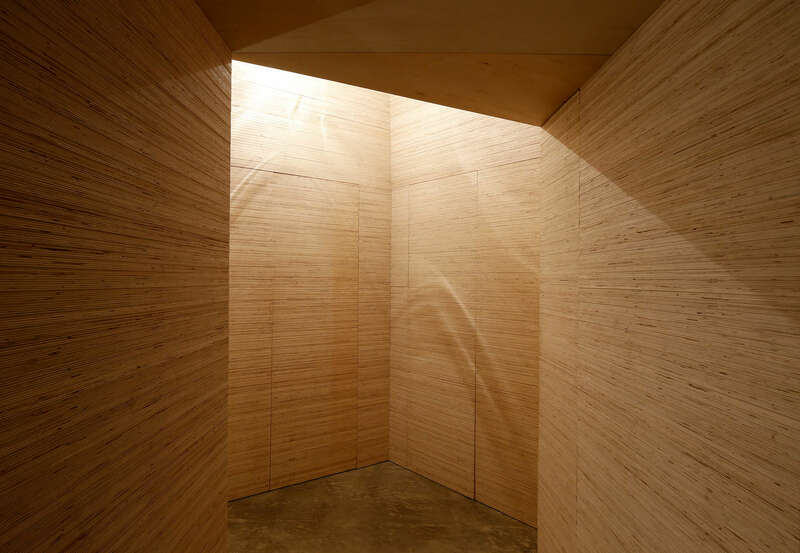 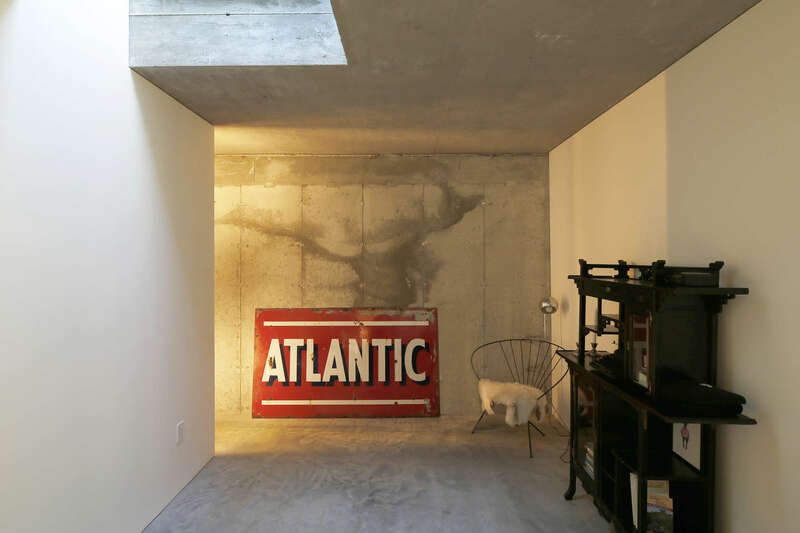 Moving through the home, these vertical spaces provide a kind of cinematic ‘hard cut’ that interrupts the modernist notion of continuous flowing space as they present themselves between the horizontal spaces of more neutral character.